Hello and welcome to Rosen Decorators. We are a window treatment store that has installed many beautiful window treatments in Ocean County, NJ. For over 70 years we have been proud to provide good old-fashioned personal service. It’s important to note that we have a physical store with a complete showroom. Here our customers are able to get a personal view of our products in an actual setting. When you visit our showroom you will find fully dressed window treatments on display ready for you to touch and feel. Unlike some of our competitors who only work out of a van. We are confident we have a window covering design that will fit your style. Our designs, textures, and patterns include modern, contemporary, traditional, eclectic, farmhouse, and more. “But I have no idea what I’m looking for?” no worries! Our trained and experienced designers will sit with you one-on-one to help you choose from a variety of fabrics, trims, and tiebacks within your budget. Rosen Decorators offers a large selection of drapery, valances, blinds, shades, shutters, cornices, and double story window treatments. We want to show you how easy and enjoyable shopping for window treatments can be. 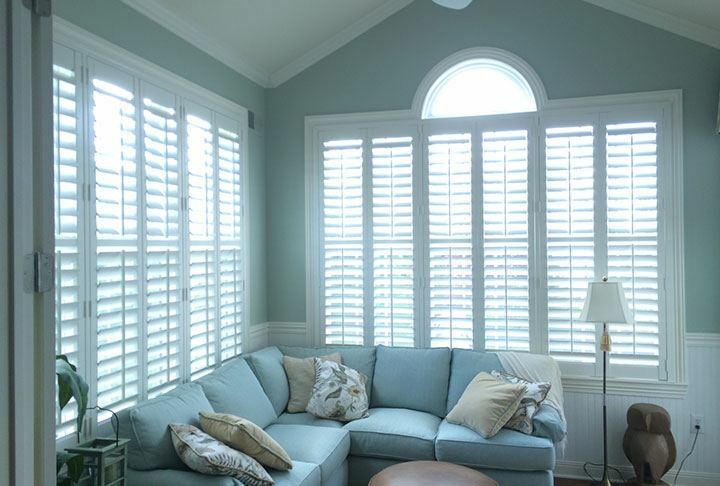 From start to finish we are here to provide Ocean County with everything they need and more when it comes to high-quality window treatment installation. Professionally trained with attention to detail―our window treatment installers provide Ocean County with the best service in the industry. We offer a measuring and installation service that is focused on customer satisfaction. Since we have been in business for over seven decades we have seen it all. We can treat your window no matter what size or shape is. 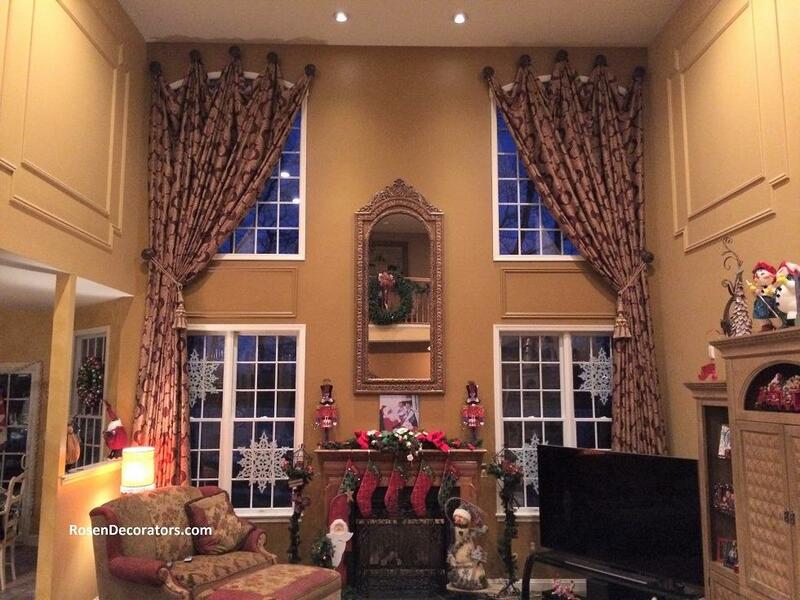 Even Double story windows are no match for Rosen Decorators. High window treatments in great rooms, family rooms, and entry halls are our specialty. Rosen Decorators goes beyond window coverings to bring you the very best in home décor. We supply Ocean County with high-end luxury bathroom accessories hand crafted from famous designers like Mike + Ally. We have a large selection of decorative hardware such as brackets on which to hang the drapery, wood and metal poles, curtain rods, and finials. Take your bedroom to the next level with an upholstered headboard and a custom bedding ensemble (we have sets on display in our showroom!). So let your inner interior designer creativity shine and allow turn your window treatment visions into a reality. Questions about our products or services? Please call or use or contact form for immediate assistance.